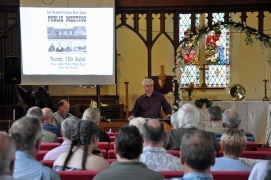 A Public Meeting called by TDCS to update the community on our research and campaign to save the former Wilnecote Board Schools from demolition by Staffordshire County Council was held in Wilnecote Parish Church on 18th August 2016. 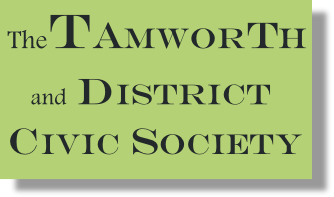 TDCS explained that we are pressing Tamworth Borough Council to use its powers to protect the historic buildings through immediate inclusion in the Wilnecote Conservation Area and Local Listing, and we launched a Petition in support of that action. 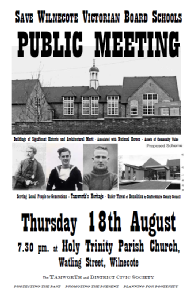 The buildings are Tamworth's only registered Community Asset (until October) and the meeting called for all parties to come together and find a way to preserve and re-purpose the beloved landmark designed by famous architect Basil Champneys in 1877 and attended by footballing legend Harry Hibbs and WW2 Enigma Code hero Colin Grazier, George Cross. 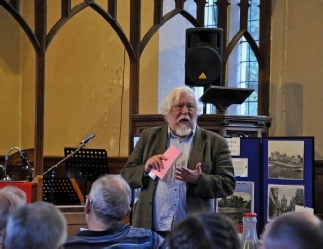 Only thanks to research by our Chairman has it been revealed and publicised this year that Champneys was the architect, and Grazier was a pupil. 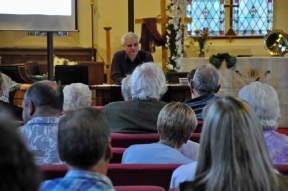 The meeting had lively exchanges at times, particularly when local borough and county councillors were challenged by audience members to explain what they are doing to represent their electors and residents on this issue. 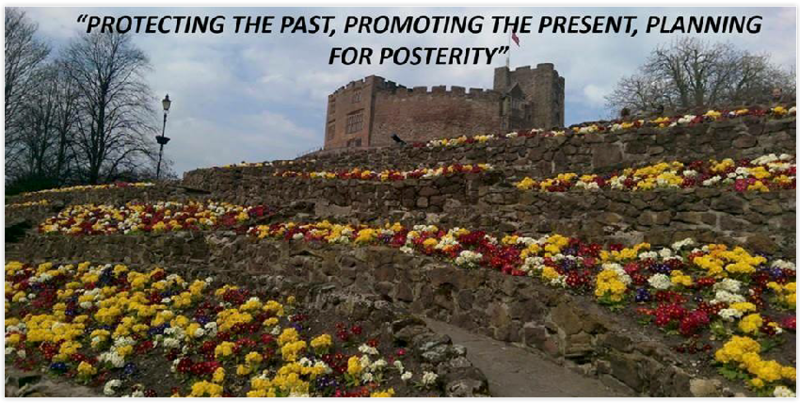 Subsequently, there was encouraging progress when on 22nd August TDCS representatives attended a working group meeting of Tamworth Borough Council's Aspire and Prosper Committee to explain our information and views. The next evening, August 23rd, the main Aspire and Prosper Committee recommended to Cabinet that the buildings be added to the Local List and that Cabinet investigate applying a measure to prevent demolition. 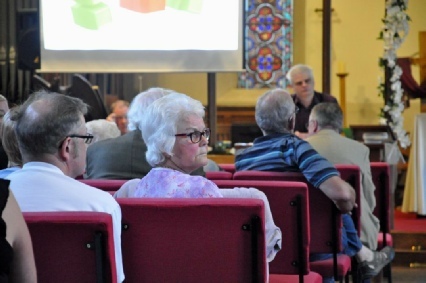 A number of TDCS members and local residents watched from the public seats. Watch this space...........!